Modern and luxurious stay for modern travelers in Bangalore. 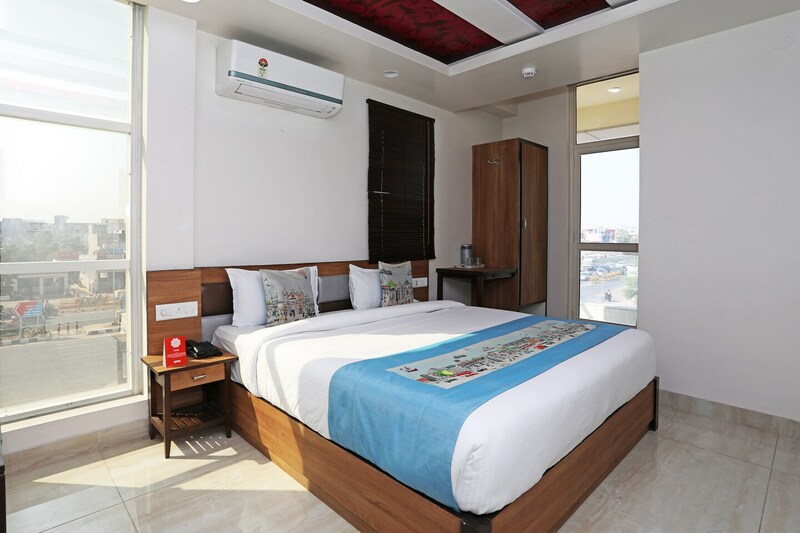 Hotel Vinayak Inn is a stylish and pocket-friendly place with elegant and modern outdoors. The hotel is a pleasure to stay in with aesthetic furnishing with minimal decor which gives the hotel a classy look. The marble flooring and decorated ceiling add an extra edge to the stylish stay and natural light streaming in from large ceiling windows are comforting. Free Wi-Fi is available for guests to stay connected with the internet. Other facilities include card payment option, CCTV cameras, power backup and parking space. The in-house restaurant is a cozy rooftop space for guests to look around the serene neighbourhood while indulging in local cuisines. The banquet hall is available for various events that the guests may want to host.